SWS is dedicated to designing individual, specialized programs to meet the expectations, goals, and budget of every horse and rider. As an operation select in size, we have the ability to adapt to each horse and rider's needs in order to bring them to the best they can be. Contact us for more information including a full rate sheet and upcoming show schedule. Full board includes stall, bedding, hay, stall cleaning, and the use of facilities. 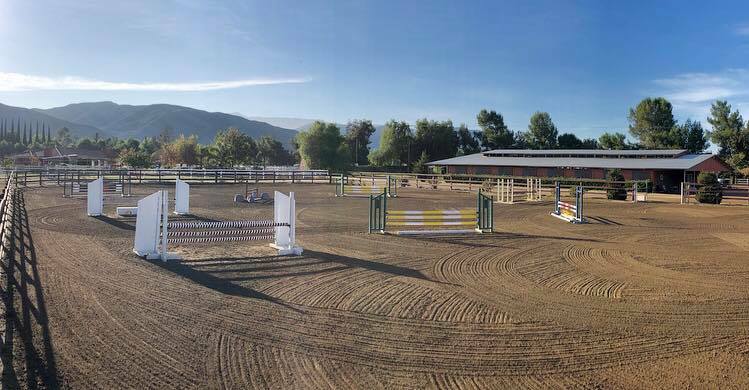 SWS designs an individual program for each horse and rider consisting of a combination of lessons, schooling rides, turnout and handwalking if necessary, as well as assistance with veterinary and farrier. Horses in Full Care are also provided with top notch grooming by dedicated, loyal professionals. This includes tacking and untacking, bathing, wrapping, blanketing, show clipping, mane pulling, and anything else necessary to get a horse ready for the show ring. For sale horses, Full Care also includes marketing the horse to potential buyers, arranging trials, and assisting in the entire selling process. 10% commission is charged on all sales, leases, or trades of horses. Horses are not required to be in Full Care to travel to horse shows with SWS. Owners and trainers will often send their horses to shows with us for both training and marketing opportunities.